PLYMOUTH Albion number eight Herbie Stupple was thrilled to end his impressive season by scoring a try to help Cornwall make history on Sunday. Stupple collected one of the Duchy’s four tries as they beat Cheshire 35-13 at Twickenham to claim back-to-back County Championship titles for the first time. Sunday’s final was Stupple’s 34th competitive start of the season, which is more than he had managed in the previous four campaigns in total due to a series of injuries. “I didn’t expect any of this – getting to Twickenham and getting the win to make history,” said Stupple. “It was a massive feeling for me and my family as well. “My dad was in tears watching YouTube. He did not get the chance to get to Twickenham as he was working in Plymouth, but he was delighted and rang my mum in tears. Stupple had played at Twickenham twice before – once for his college and once for Exeter Chiefs at the Middlesex Sevens. However, he admitted Sunday’s final meant more to him than his other two appearances at English Rugby’s HQ. “It did,” he said. “This was more emotional because my family are quite big in Padstow and this means a massive amount to them. 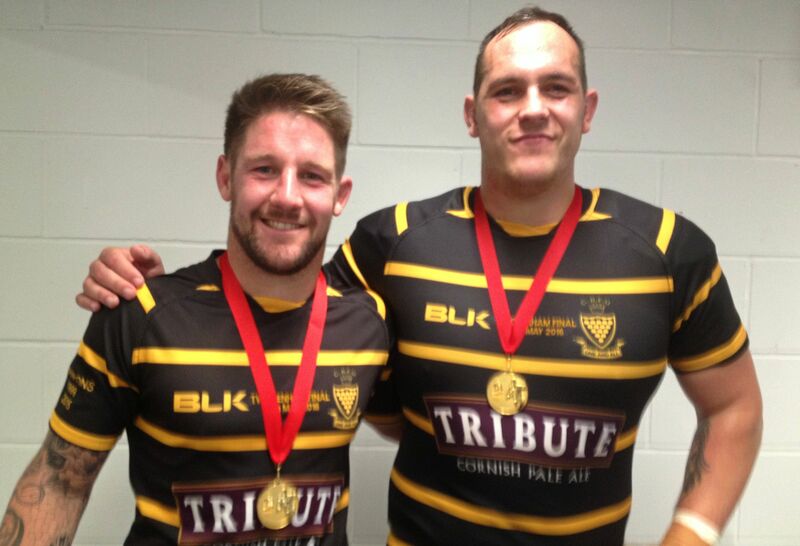 All Cornwall’s points were scored by Albion players, with Billy Searle, Sam Matavesi and Matt Shepherd chipping in. Ten Plymouth players had been in Cornwall’s training squad with nine making Sunday’s final squad. “I think it does help as we know how each other play,” said Stupple, who’d had to wait until this season to make his full senior Cornwall debut due to injuries and competition rules excluding players from the top two divisions. Stupple felt Cornwall had saved their best performance of the campaign for Sunday’s final. “Definitely,” he said. “The rest of the games we managed to scrape by, although Surrey was a bit better the week before, but this performance was the icing on the cake. Cornwall’s title-winning team will be having a victory parade in Truro on Wednesday evening.